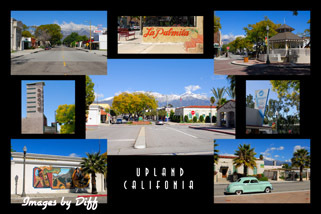 click photo to enlarge I have been living in Upland for over 9 years now and have never taken any pictures of the downtown area. It was a beautiful winter morning with snow up on the mountains so why not. 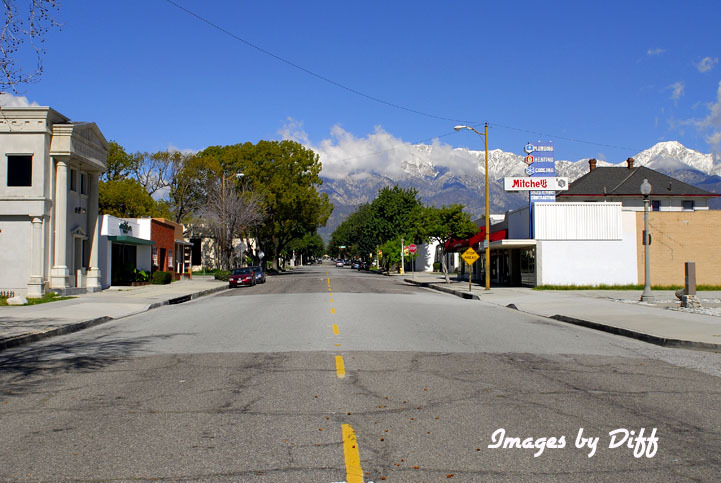 Sunday mornings in downtown are pretty empty as shown in these pictures. 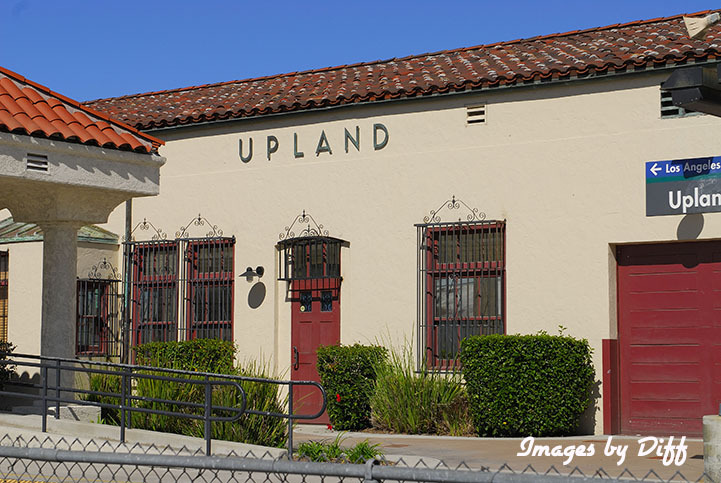 Upland has about 70,000 people and was once named North Ontario, it was incorporated in 1906.
click photo to enlarge Like many of the communities in the area they were once big for growing citrus fruits and grapes. Upland has it's annual Lemmon festival in April. 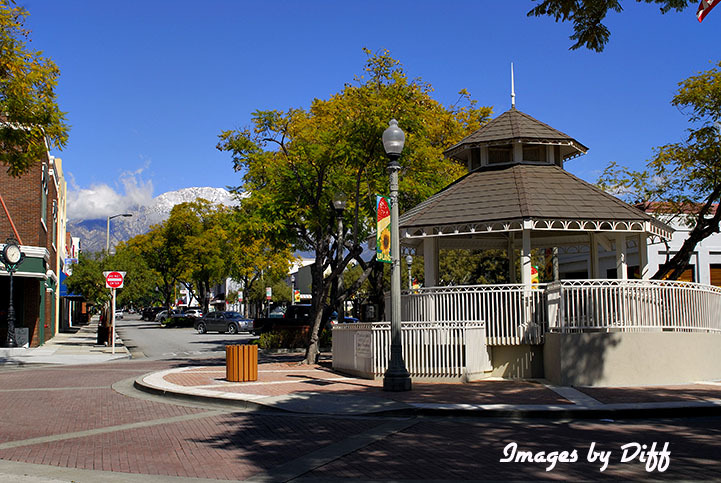 There are a number of shops and restaurants in the downtown area and a weekly farmers market. 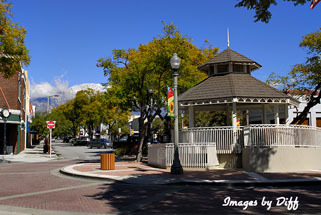 click photo to enlarge Many of the businesses in the historic area have been there for a long time. In 2009 they held the 1st music and arts festival and had a fabulous line up of acts. 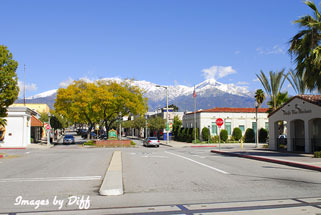 Hopefully they will do it again in 2010.